I’ve always felt that certain flavors allow me to recall specific memories and events in life. Steamed eggplant is always associated with my grandmother’s spectacular dinners, and the fragrant aroma of oolong tea never fails to remind me of my mother. There is one particular beverage that always transports me back to my childhood, to the point where I can almost feel the nutty taste lingering on my tongue. Soy milk has been a staple drink in my life, one that I’ve always associated with the warmth of home and nostalgia. Having lived in the United States for almost 16 years or more, sometimes the typical grocery store soy milk doesn’t cut it. It’s a nice substitute when I don’t have milk for my coffee and oatmeal, but it lacks the distinct flavor of soy that I always try to seek out. 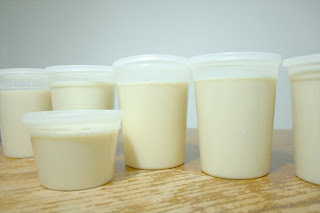 Store bought soy milk tends to hide the natural flavor of soy, choosing instead, to enhance the sweetness. My mother calls it, “catering to the people,” because soy can be an acquired taste. Each person describes the soy flavor in a different way; for me, it’s a subtle nutty flavor, but for others, it tastes like burnt milk. The more I thought about it, the more it made sense—it explained why so many people were turned off by the thought of eating tofu, at least. 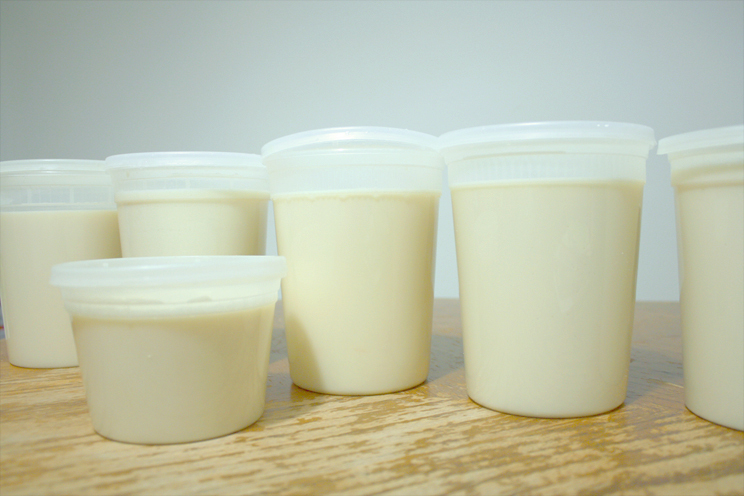 On days when I feel extremely homesick, I dedicate an entire day to homemade soy milk. I usually buy two pounds of soybeans, and soak them in water overnight. The entire process is easy, but very time consuming. 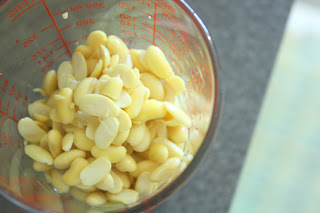 After the beans have been soaked, I toss them into a blender with a couple cups of water. The grainy mixture of water and beans is then poured into a large pot, where it slowly boils. The grain is strained out, leaving behind rich and creamy soy milk, full of flavor. I’m never bothered by the long process, because the entire time I’m making my soy milk, the kitchen truly smells comforting, identical to the gentle aroma of soy milk sold by street vendors in Hong Kong.